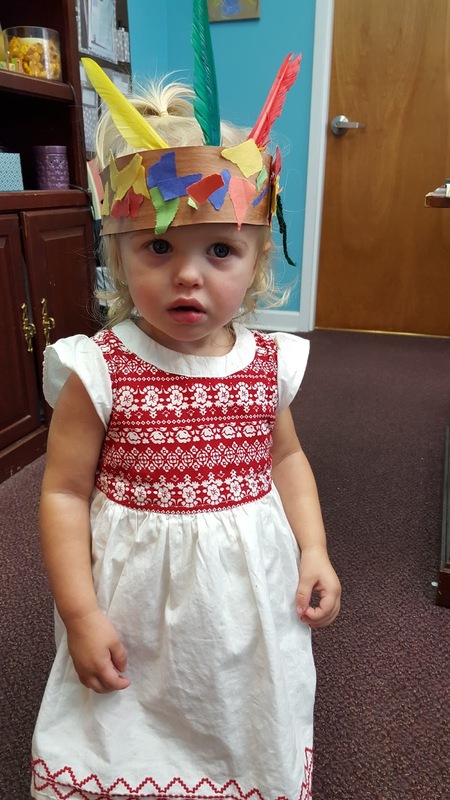 This has been a short and busy week for us! 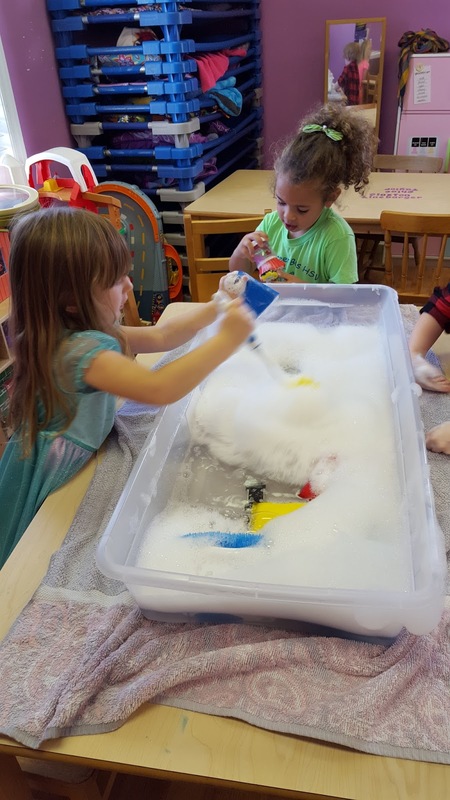 We have squeezed a lot of activities, projects, and fun into just two days! 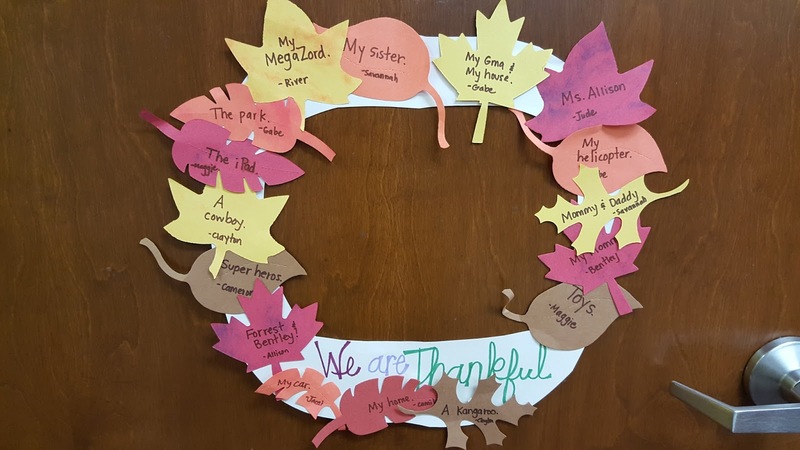 Of course, we spent more time this week talking about what we are thankful for. 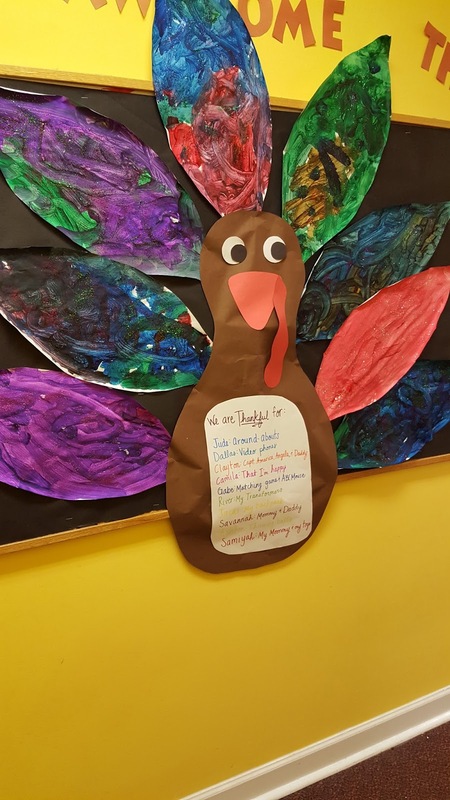 We definitely have a LOT to be thankful for! 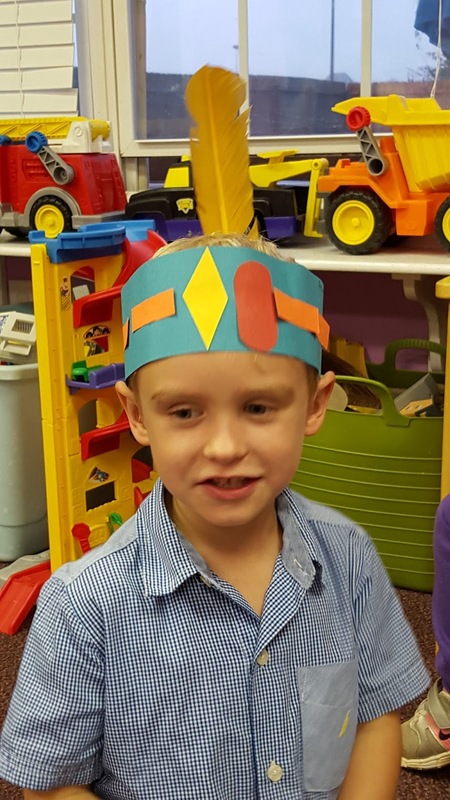 Our 2 year old made their own Indian hats and I have to say, they are the cutest Indians I've ever seen! 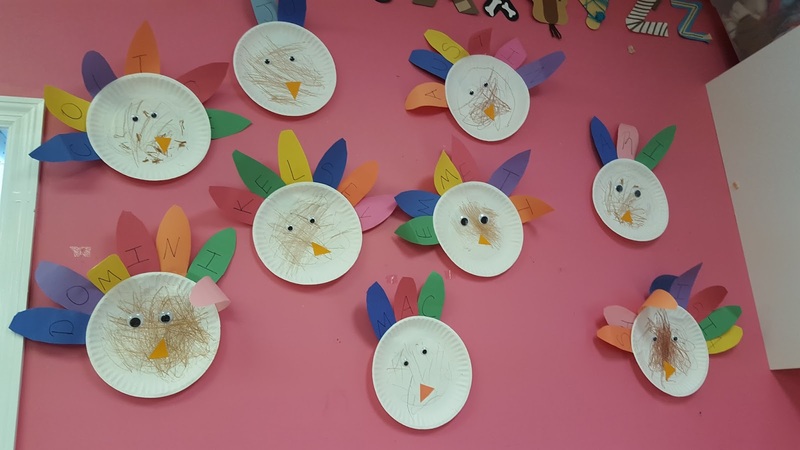 It wouldn't be the week of Thanksgiving without talking about turkeys some more! 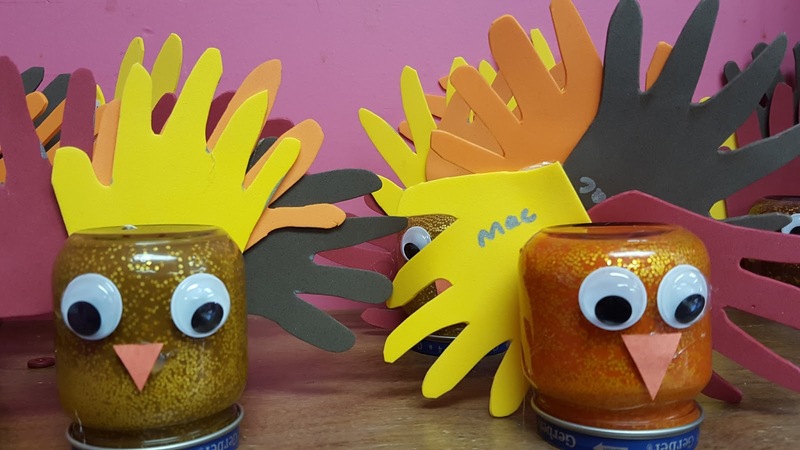 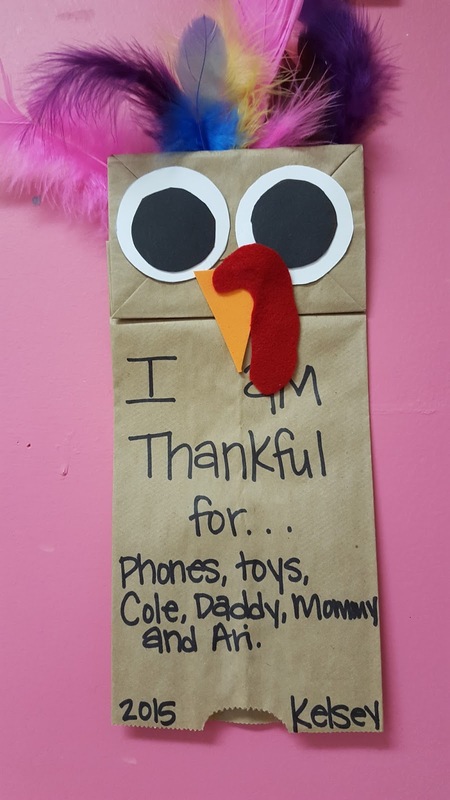 All of our children made special gifts for their parents for Thanksgiving. 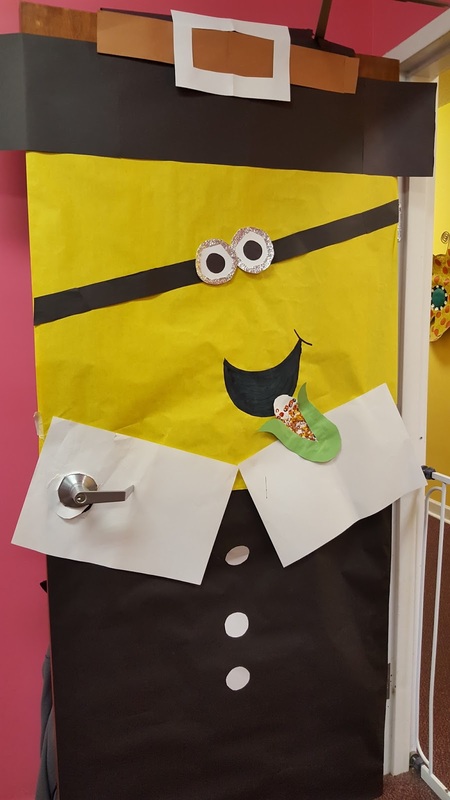 They always do such a great job on these projects! 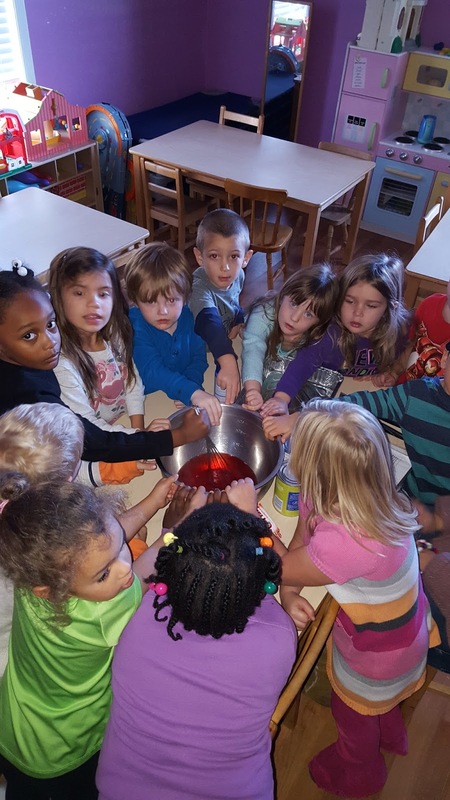 For our cooking project, the children made Cranberry Pineapple Salad to share with our parents at our Thanksgiving Lunch for a yummy dessert! 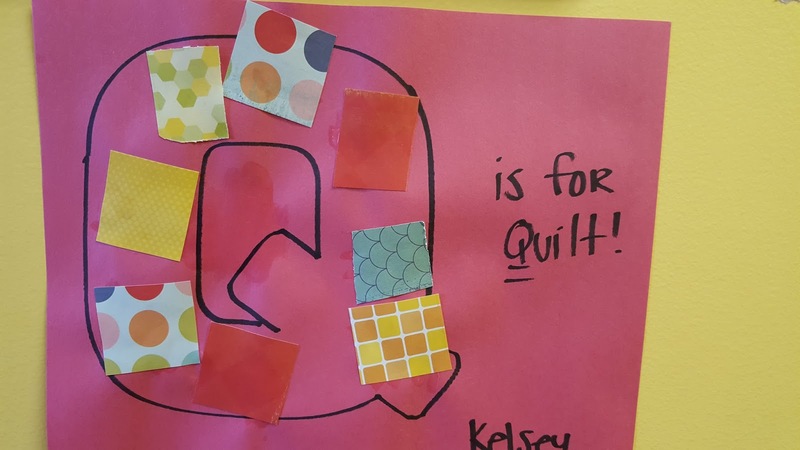 We even found a way to squeeze in our letter of the week with "Q is for Quilt"! 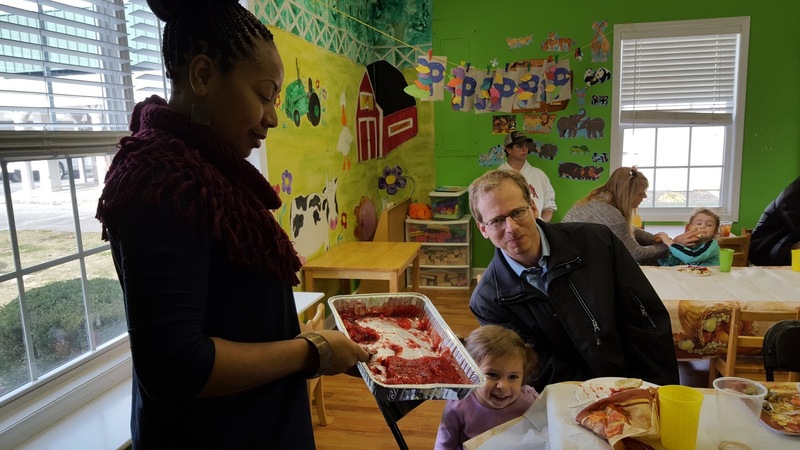 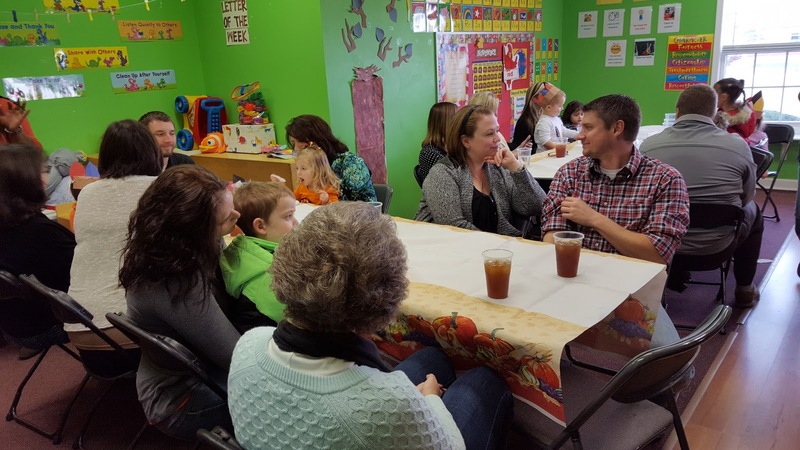 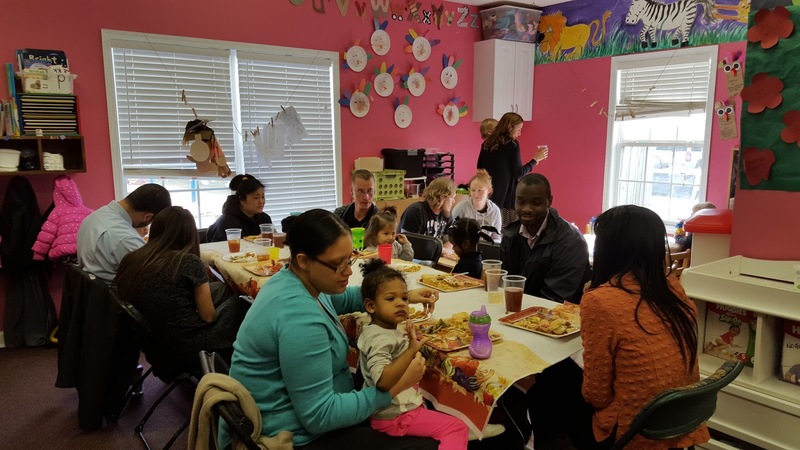 On Tuesday, we invited all of our parents to join us for Thanksgiving lunch. 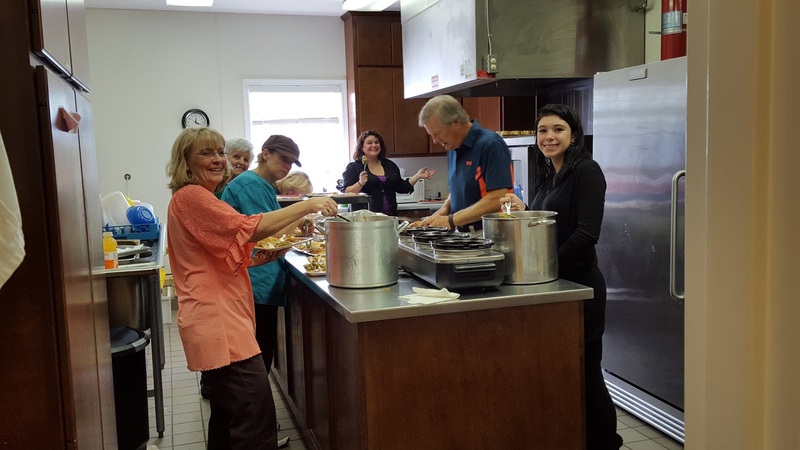 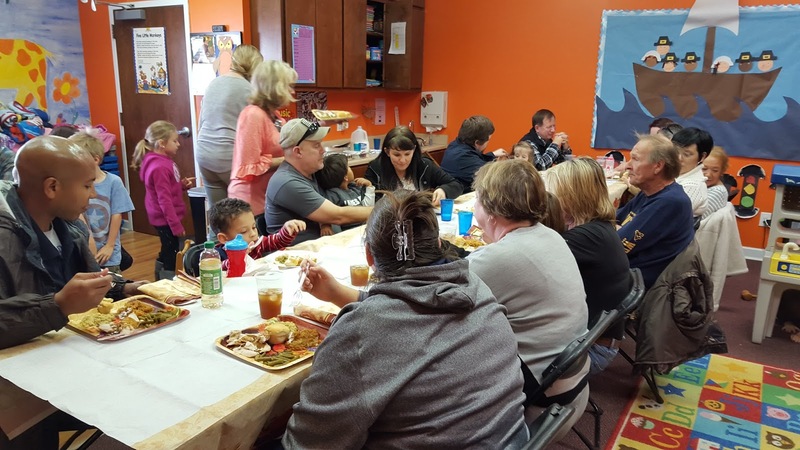 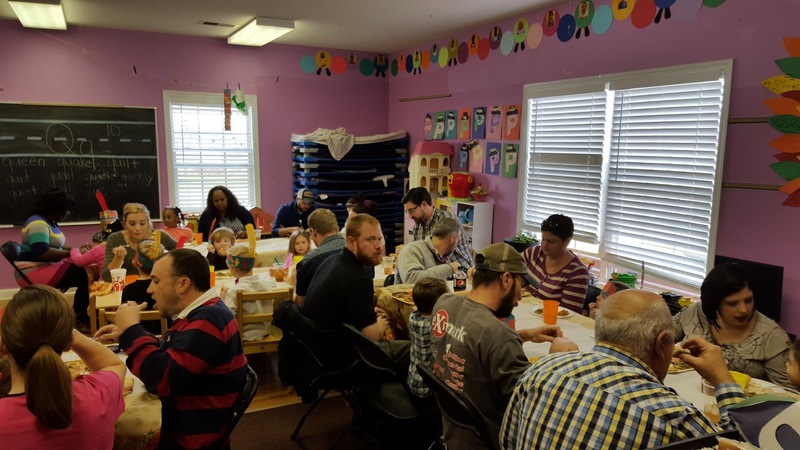 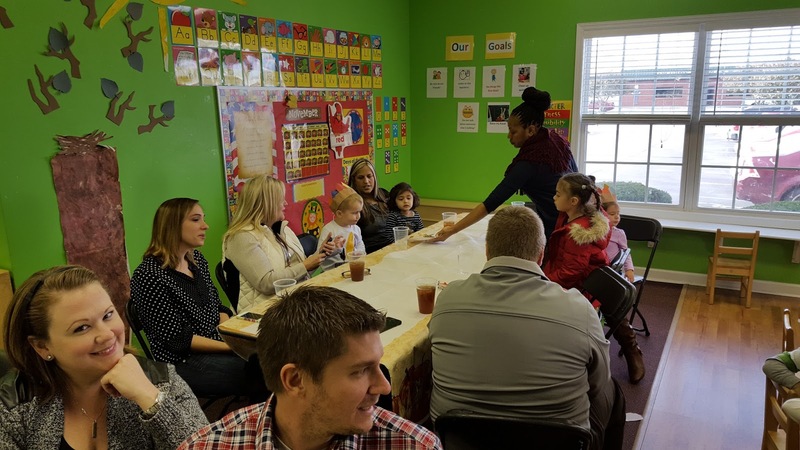 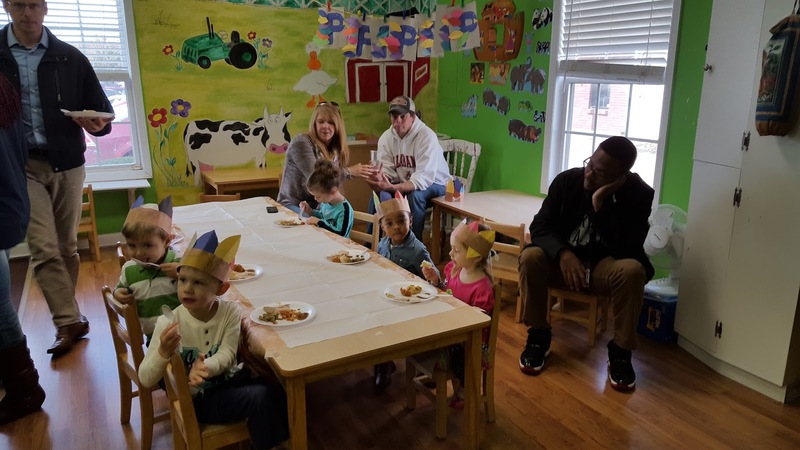 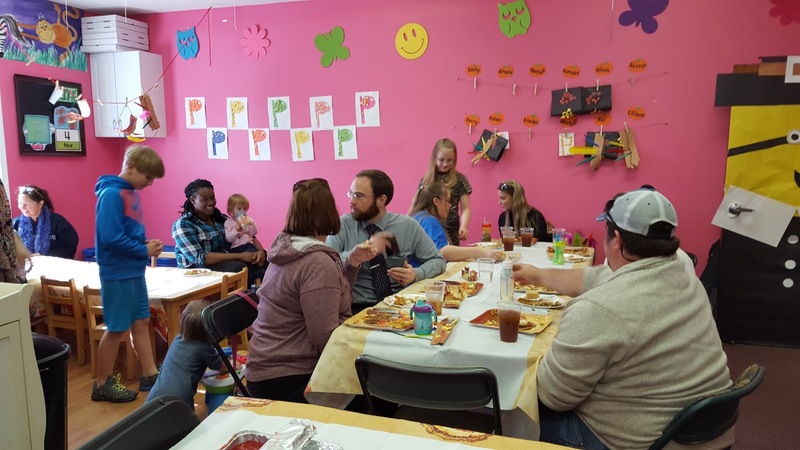 With the help of Mrs. Renee (our cook) and some family members, we successfully served a full Thanksgiving lunch to a little over 125 people (our children and their parents)! 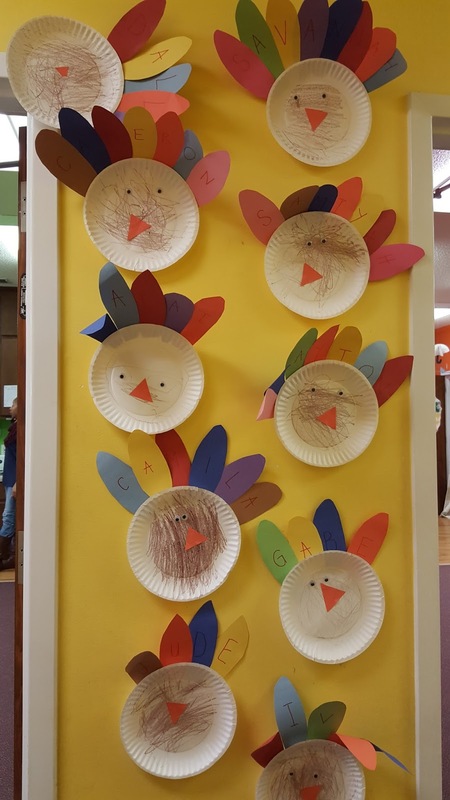 It was quite the task but the parents seemed to love it! 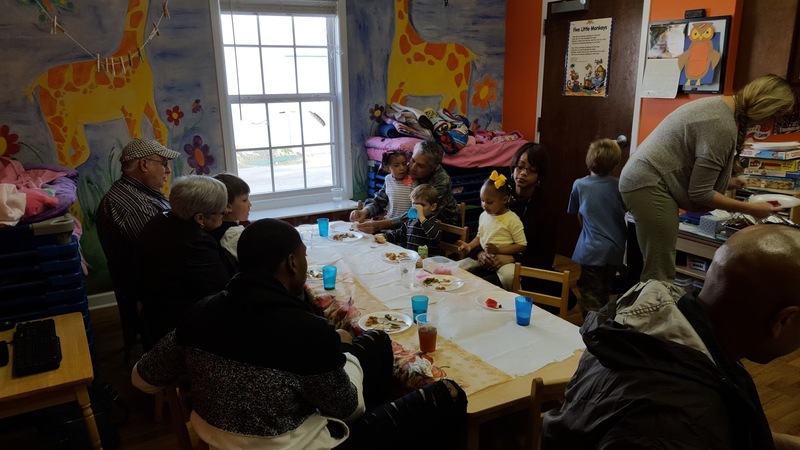 Mrs. Renee did a FABULOUS job, as always, in preparing a wonderful lunch for us to enjoy together! 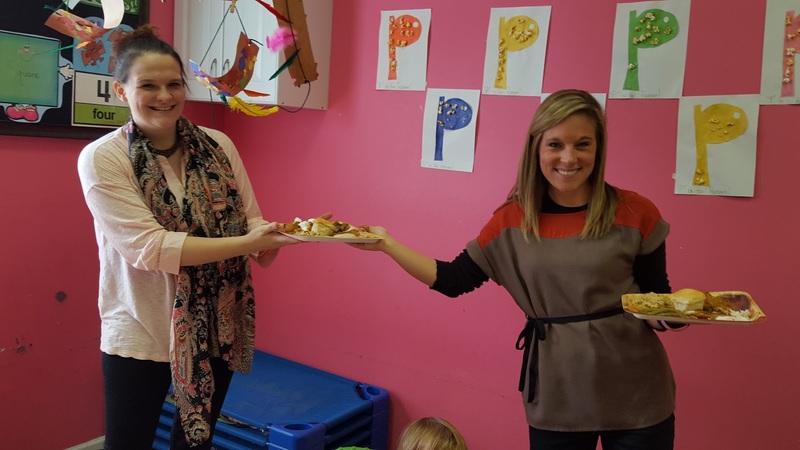 Serving up the Cranberry Pineapple Salad for dessert that the children made! 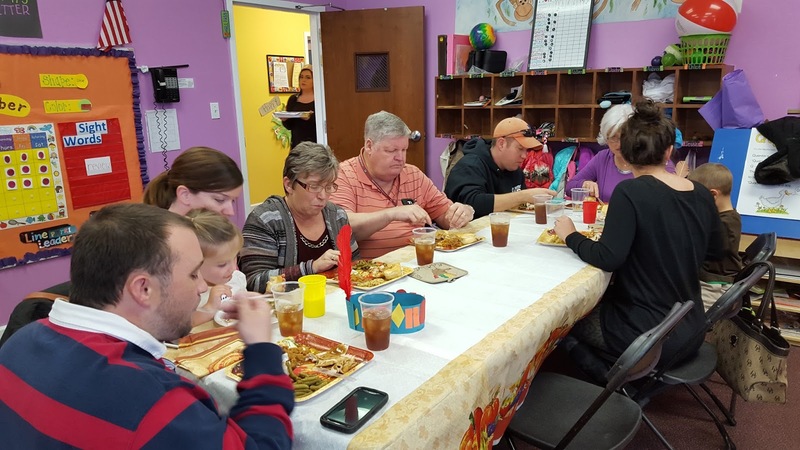 We hope you have a very Happy Thanksgiving and get to spend time with family and friends! 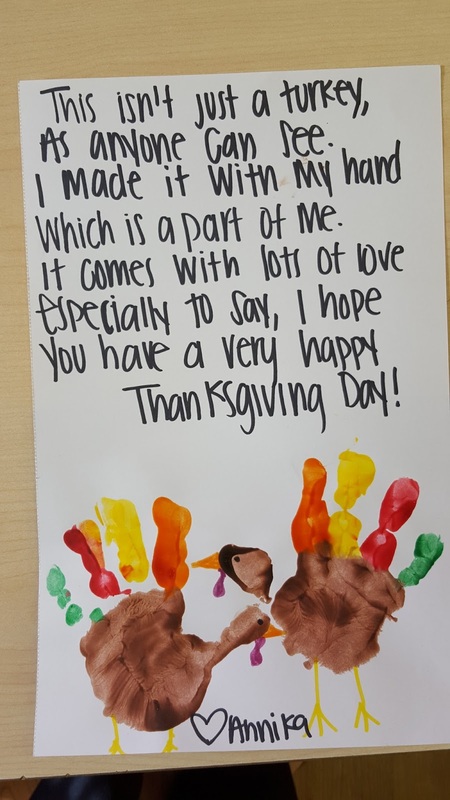 We are so very thankful for each of you! 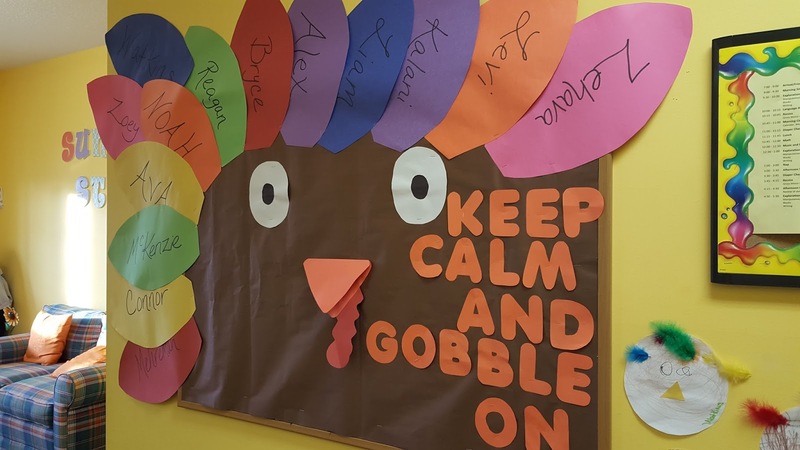 KEEP CALM AND GOBBLE ON! 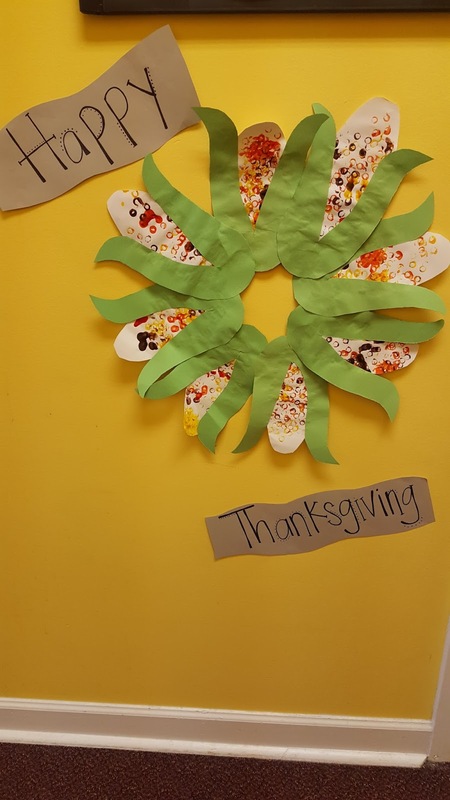 We are gearing up for Thanksgiving so of course we are learning about Indians and Pilgrims this week! 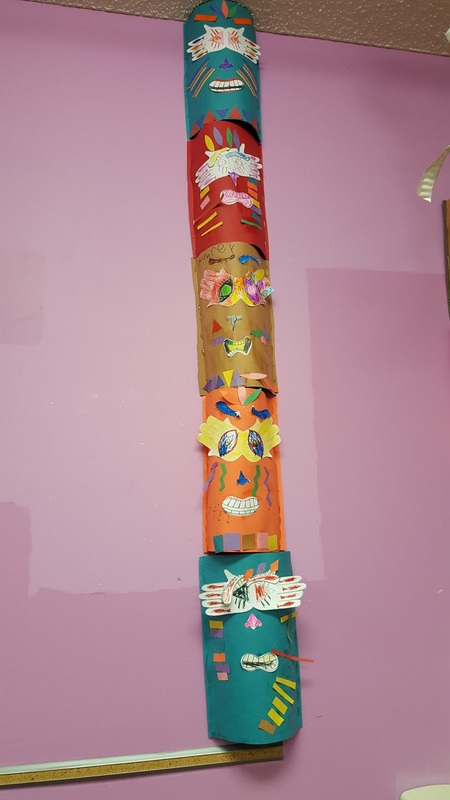 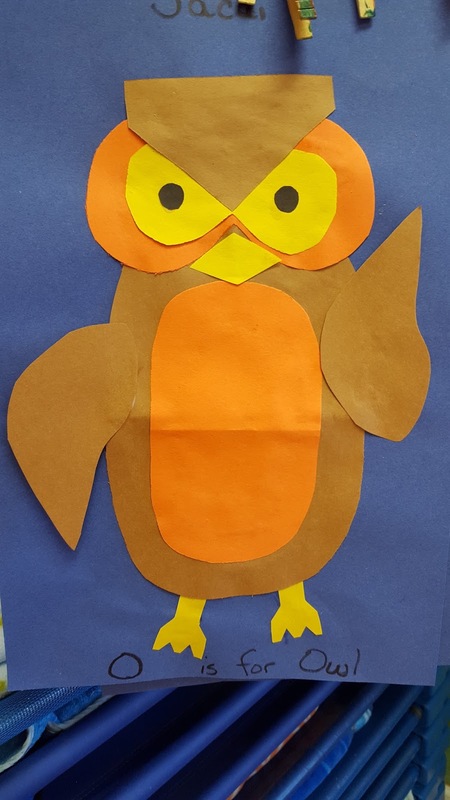 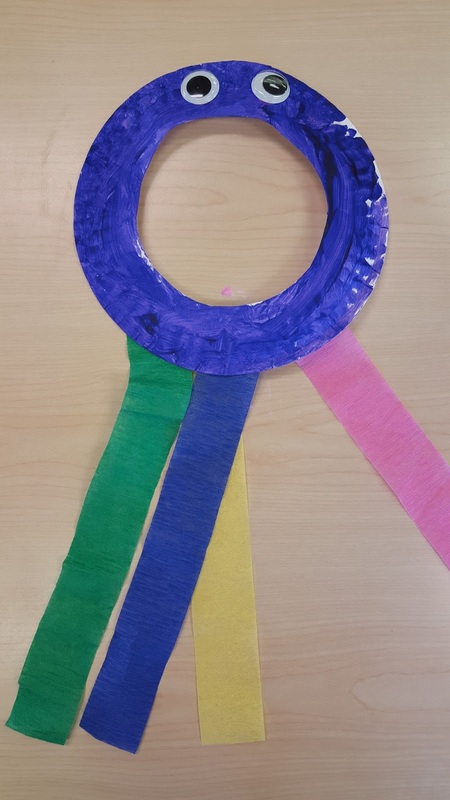 Pre-K worked together to make their own Totem Pole for their classroom. 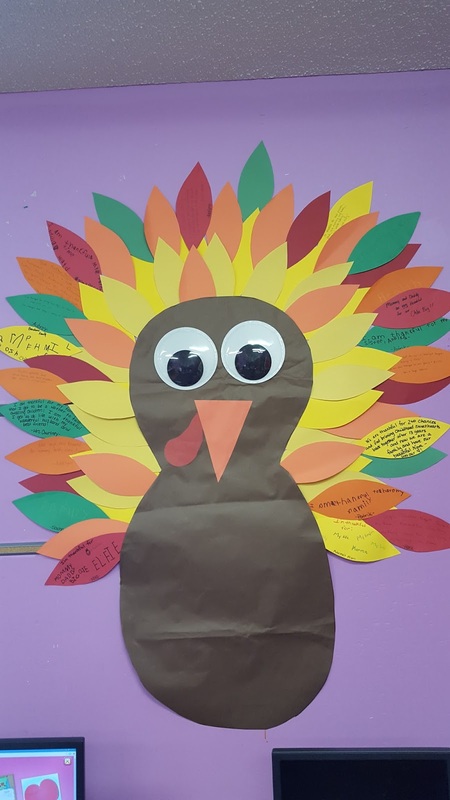 We also spent a lot of time talking about what we are thankful for. 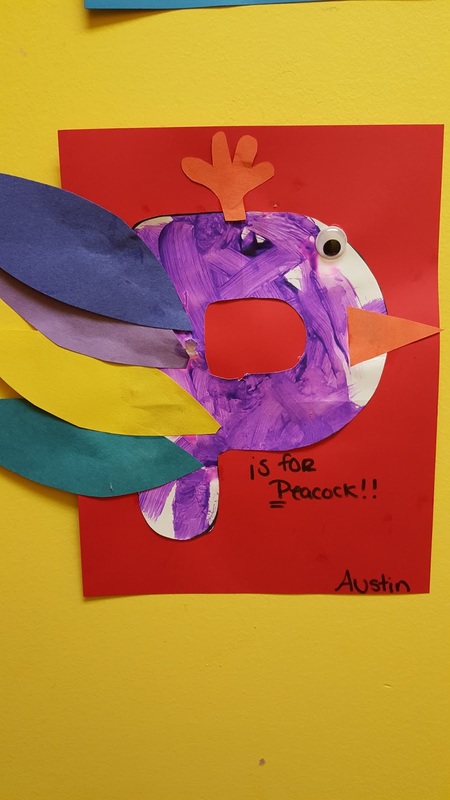 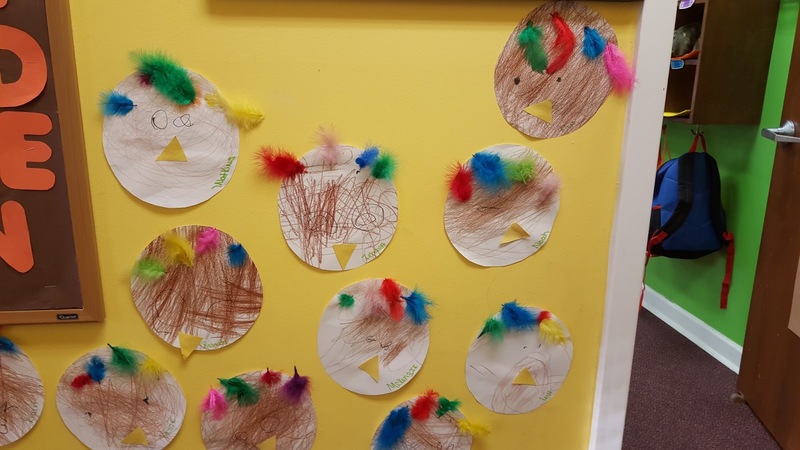 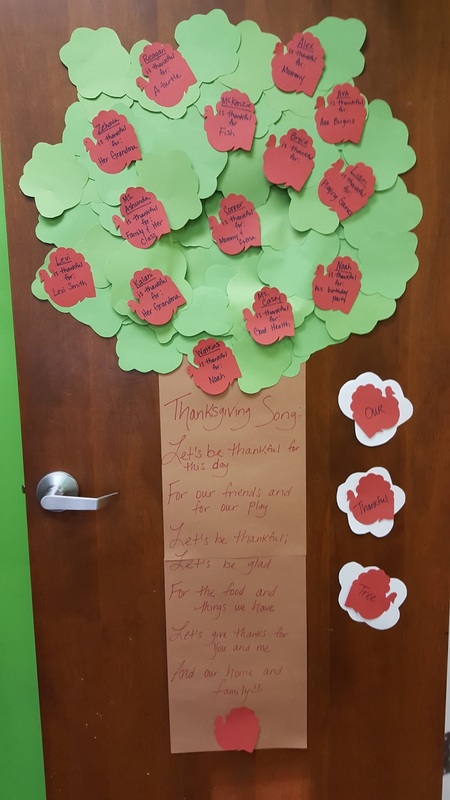 The 3 year old classroom decorated the feathers for their turkey and then listed out things they were thankful for to make his belly! 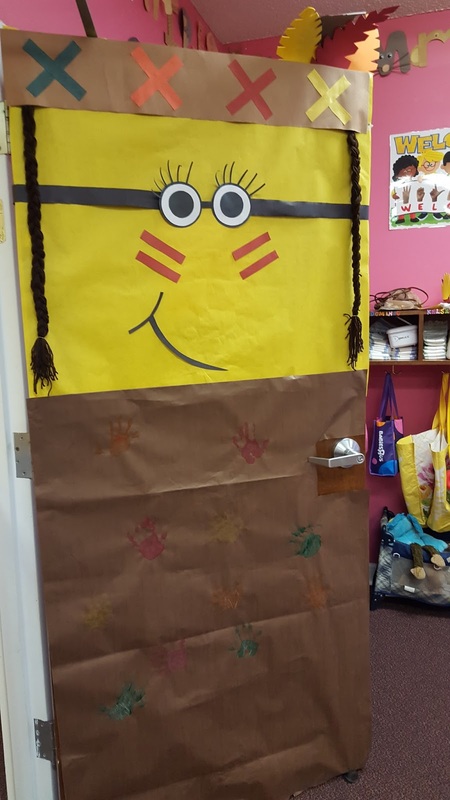 The Waddlers and Toddlers turned their classroom doors into Pilgrims and Indians- Minion style! 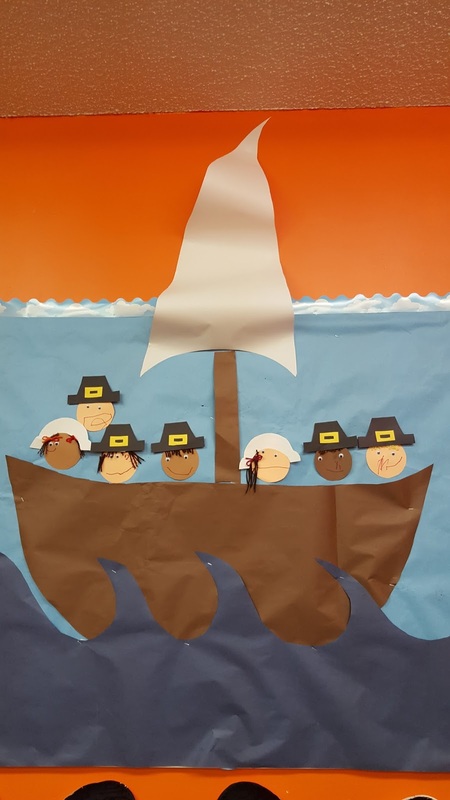 The 3 year olds all sailed away together on the Mayflower! 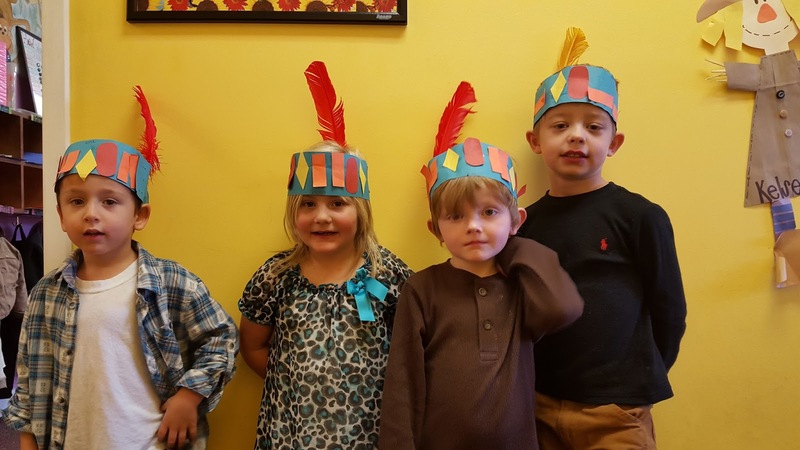 At Sunflower Station Preschool, we have some pretty cute Indians- don't you think?! 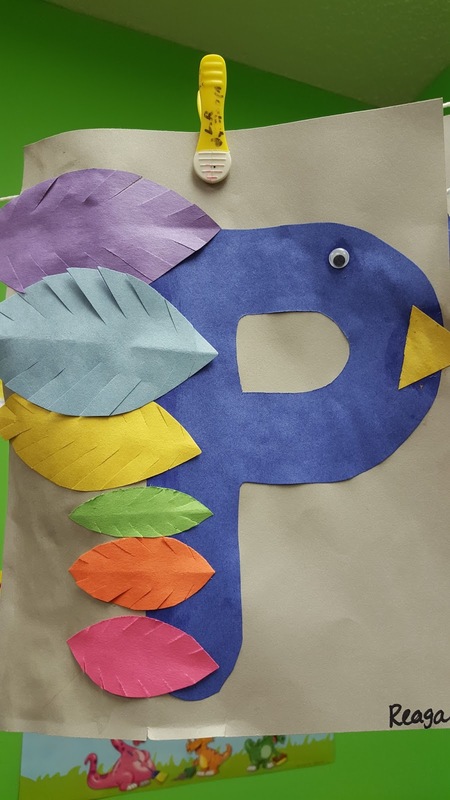 We also had a lot of fun with our letter of the week. 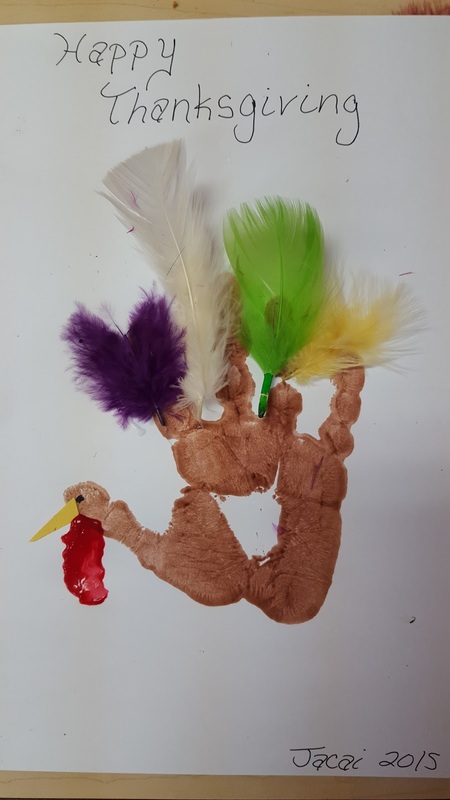 The children made Peacocks and Pilgrims and had fun with Popcorn! 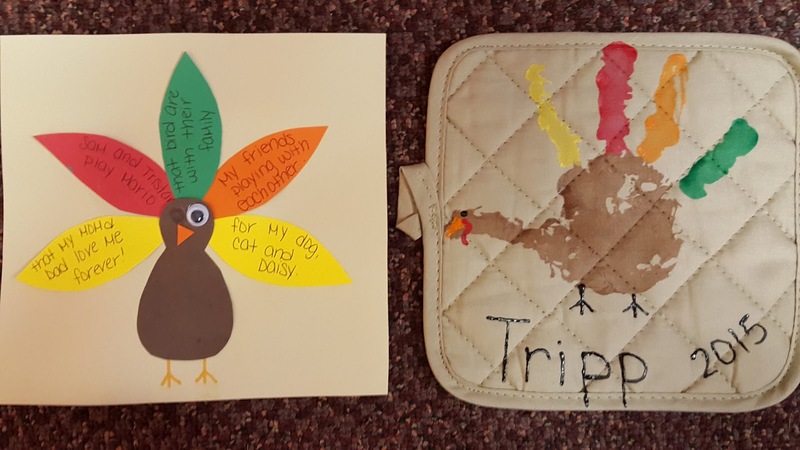 As we are starting to talk about Thanksgiving plans, it is the perfect opportunity to talk about the different ways we might travel. 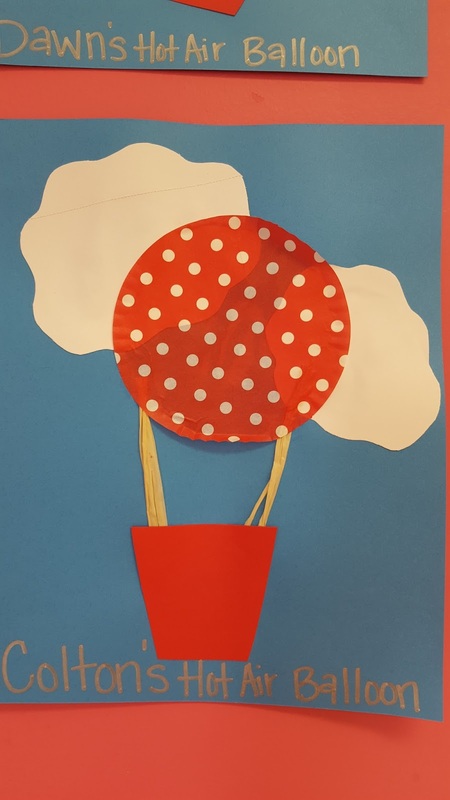 For most of us, we will be traveling by car but it sure is fun to think about going to hot air balloon, train, boat, etc.! 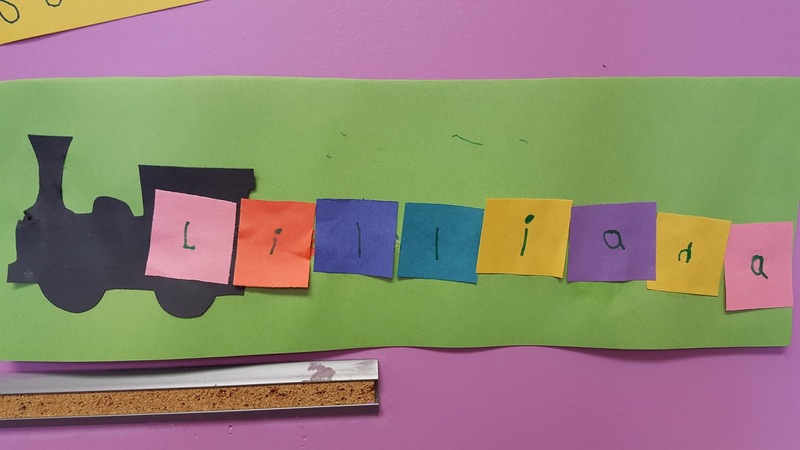 To practice spelling our names, several classrooms made trains! 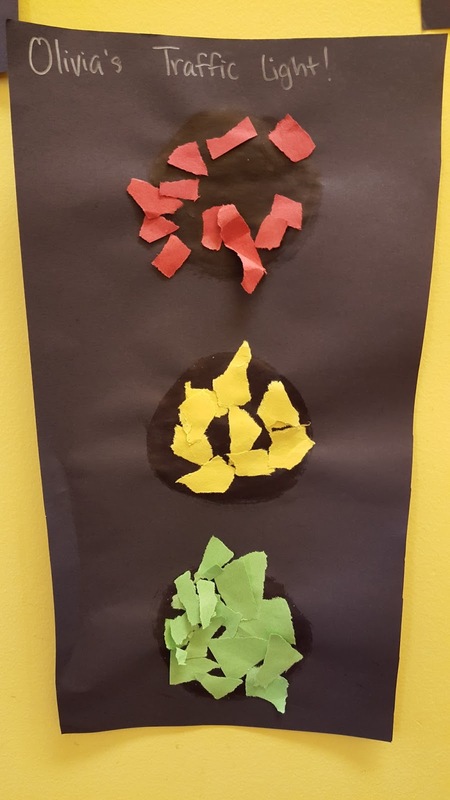 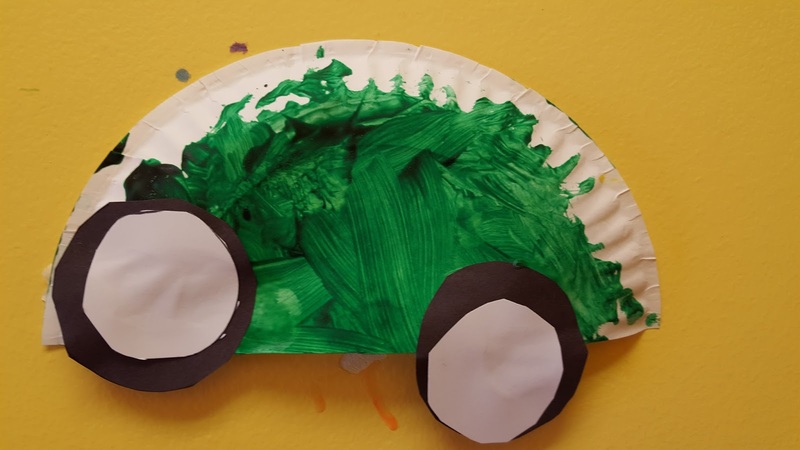 Pre-K had some fun with a car wash and making paper airplanes. 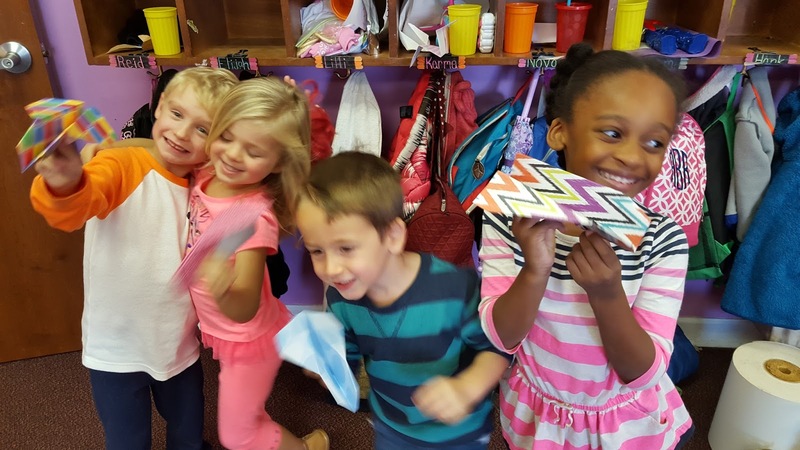 They even had a competition to see who's airplane would go the farthest! 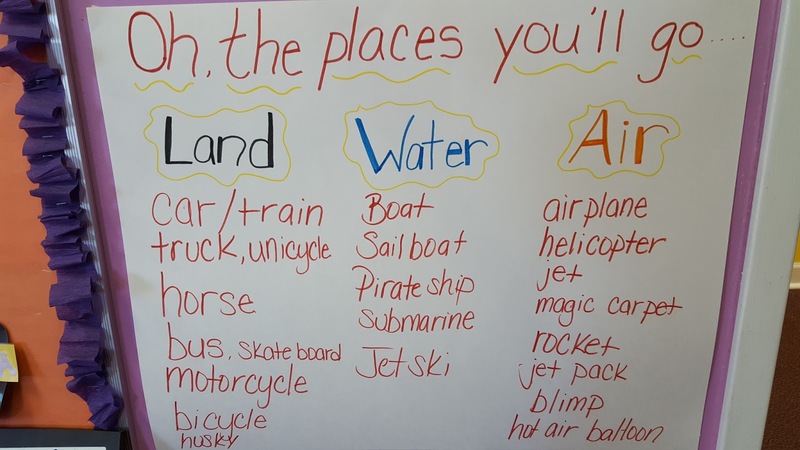 One classroom brainstormed all the different types of transportation. 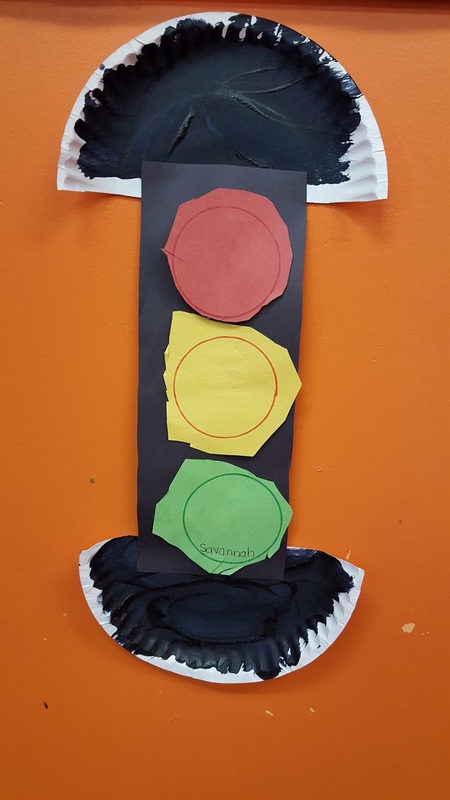 They were pretty creative! 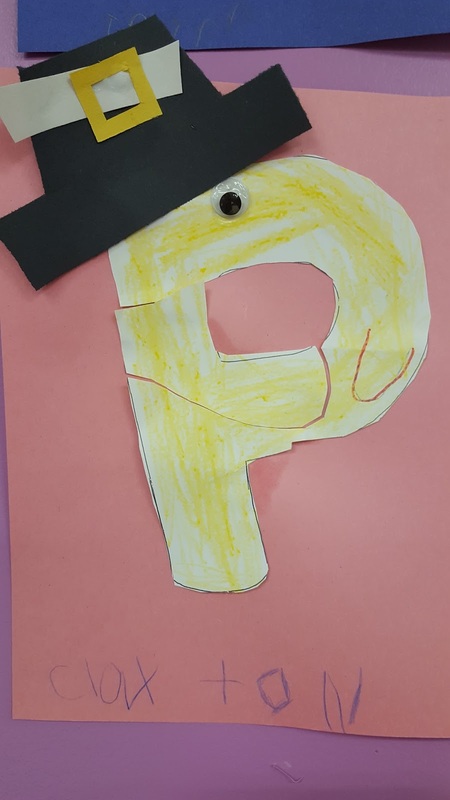 Our letter of the week was "O". 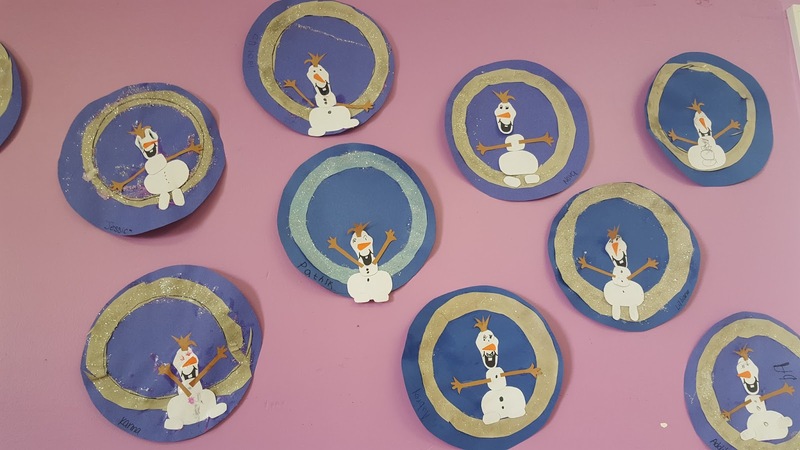 We made owls, octopi, oranges, and of course Olaf!